Quick Creamy Chantenay With Tarragon. Hello friends, fancy making a yummy carrot dish up? 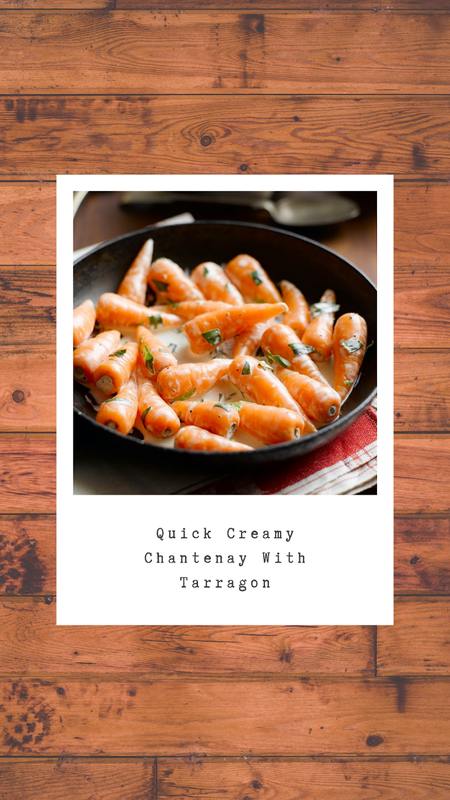 Quick creamy Chantenay with tarragon- Because Chantenay carrots are small and full of flavour they make the ideal accompaniment to any meal, whether it’s a quick mid week side dish or a Saturday night special for friends. Cover the Chantenay in boiling water and add a pinch of salt. Simmer for five minutes or until they are just tender which you can test with the point of a sharp knife. Put the cooked and drained Chantenay into a pan along with the double cream plus the chopped fresh tarragon. Stir gently over a medium heat until everything is warmed through, then season to taste with salt and pepper. Add a splash of hot water if you prefer the cream to be thinner. 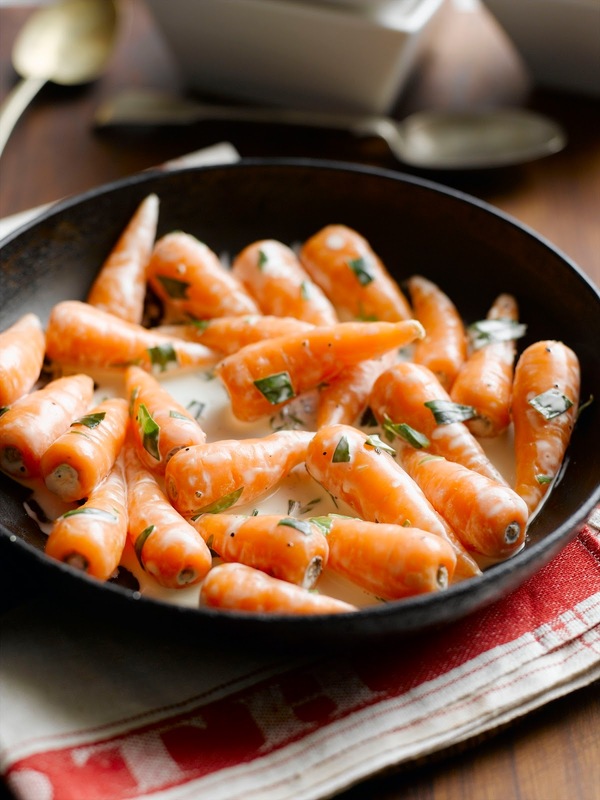 Quick creamy Chantenay with tarragon- Because Chantenay carrots are small and full of flavour they make the ideal accompaniment to any meal, whether it’s a quick mid-week side dish or a Saturday night special for friends. Farmers Roast Chicken With Creamed Chantenay.